Thank you for choosing us for traveling. You are about to enjoy one of the best experiences of your life. We have organized everything to plan your desired holidays. We are sure you will love them. – If you have chosen Paypal to make the payment please press the yellow button “PayPal”. That will take you to the paypal website with secure payment. (Paypal account not needed). 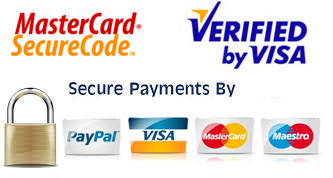 – If you are going to pay with Credit Card please click on “Order Now”. That will redirect you to the bank website with secure payment as well. After you have done this I will contact you with further details. Now just relax and enjoy!